How are Americans dealing with rising healthcare costs? Healthcare is a hot topic, with Washington in the midst of a protracted debate. But beyond policy, we wanted to know—how do everyday Americans really feel about their healthcare costs? We partnered with Ipsos, an independent market research company, to conduct a poll on Americans’ sentiments and budgeting behaviors around healthcare costs. Here’s what we found. 74% of Americans say their healthcare costs have gone up in the past few years. Unemployed people, people over 55 years old, and lower income earners are the most likely groups to find a large medical bill more or equally detrimental to being diagnosed with a serious illness. 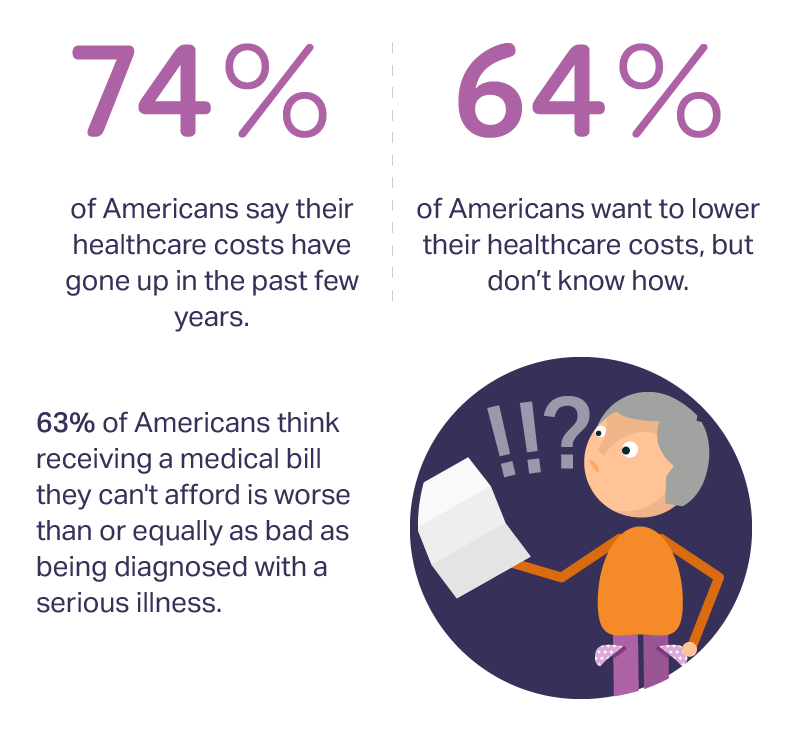 64% of Americans want to lower their healthcare costs, but don’t know how. Americans are most concerned about the cost of major surgeries or emergencies, yet only 15% are setting aside funds for them. These results highlight just how stressful unexpected medical bills can be. “Rising healthcare costs” isn’t just rhetoric. 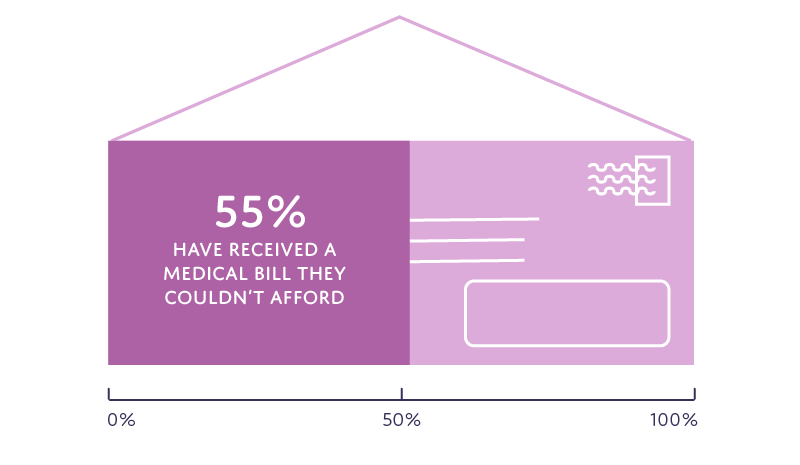 We found that 55% of Americans have received a medical bill that they did not have funds set aside to pay. However, we’re learning from the experience—people who have received an unexpected medical bill in the past are significantly more likely to budget for their health and medical expenses than those who have not. When it comes to avoiding high medical bills, 39% of Americans say they maintain good insurance coverage as their top strategy. Yet 49% of Americans say their insurance doesn't provide them with enough information to determine their healthcare costs. There are several ways to manage high medical bills, including contributing to a health savings account (HSA), seeing in-network providers, using a service like Amino to get a sense for the cost of procedures and services before booking care. We found that 1 in 5 Americans avoid high costs by simply not going to the doctor. 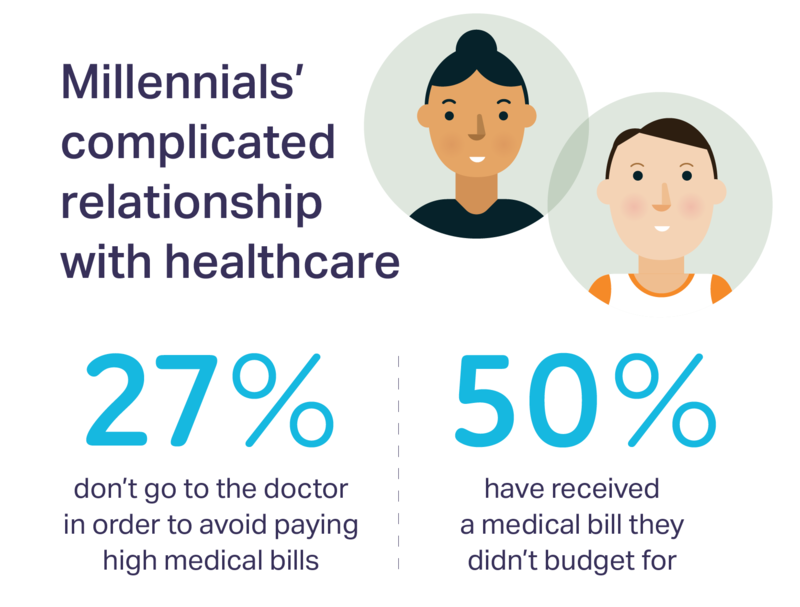 56% of people without insurance and 27% of millennials said they use this tactic—which could lead to costlier medical expenses down the road if they’re missing key preventive care. When it comes to savings accounts, only 32% of Americans currently contribute to a HSA that allows them to save money tax-free for medical expenses. With healthcare costs rising, budgeting is more important than ever. But these types of costs are hard to budget for—unlike food, housing, or transportation, monthly healthcare costs can be difficult to predict beyond insurance premiums and prescription drugs.